I was excited to finally find the 2013 OPI Breast Cancer Awareness duo at my local David Jones store. From the moment I saw the press release photos of the glitter polish in the duo, I knew that I had to purchase this collection. 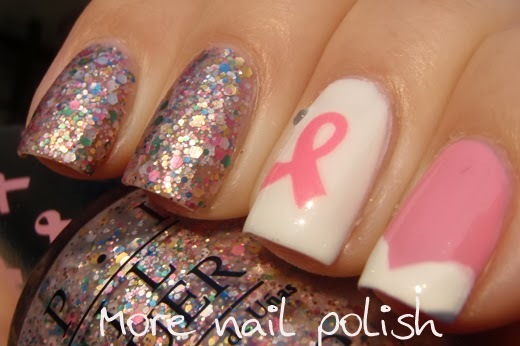 There are two polishes in the Pink of Hearts set, the first is a pink creme called Pinking of You. 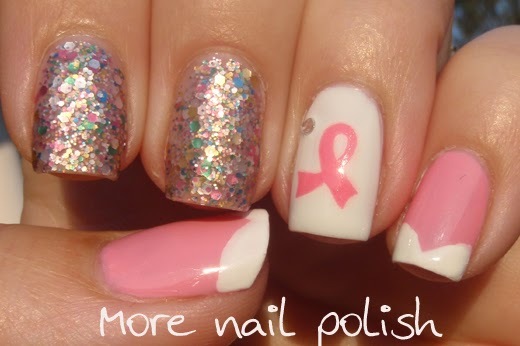 It's a pretty classic pink shade, but the formula is a little patchy and you need three coats for it to look good. More than a Glimmer is the polish that I really wanted, and OPI have really stepped it up with the multicolour glitter polish. 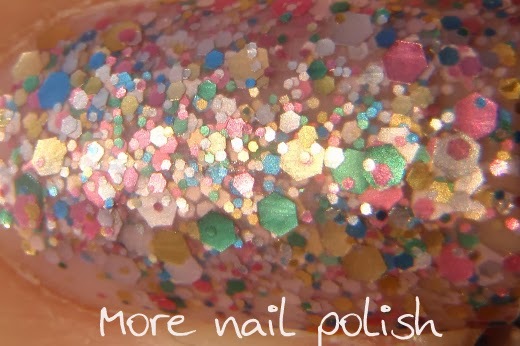 The packaging says the polish contains pink, silver and teal glitters in a matte base, but on a closer look you can see that there are pink, blue, green, yellow and silver hexes in two sizes. The base isn't totally clear, it is slightly milky, so the mix of the matte finish and a slightly milky pink base provides good coverage on its own with a multicoloured chrome finish. 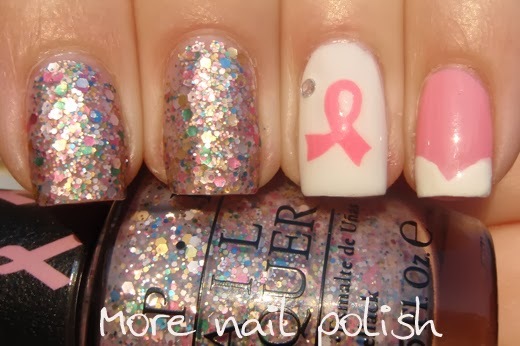 The package also comes with sheet of pink ribbon decals and silver rhinestones, which really provide the perfect extras to create stunning Breast Cancer awareness manis. I believe this is a must have collection for everyone. 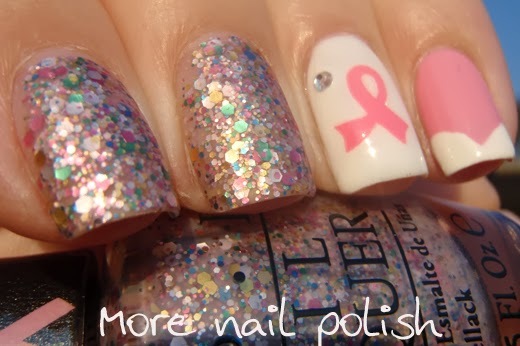 Not only does purchasing it raise funds for breast cancer research, but the pastel multicoloured matte glitter is a unique a beautiful polish. Ooooh. I can see I'll need to get this in my stash!